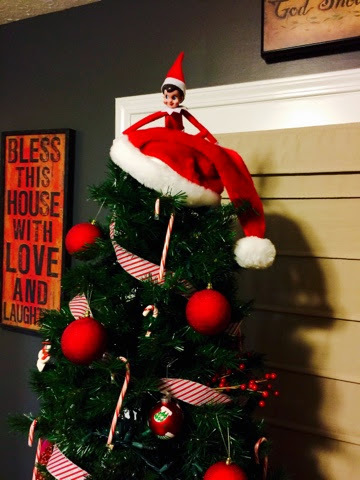 It's been two weeks now that our elf Isabella has been flying into our home. 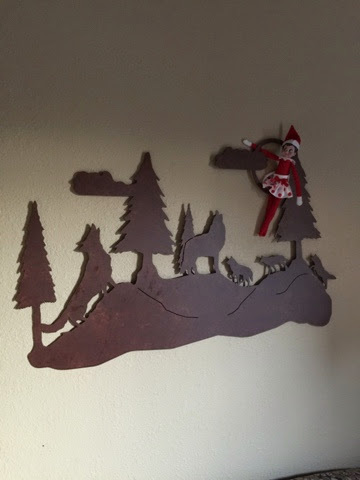 That silly elf has been up to some silly things so far this year. 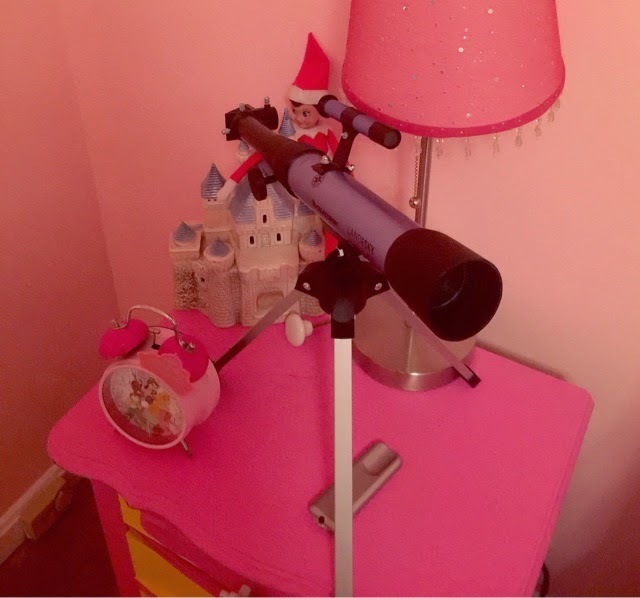 Isabella has figured out that she needs to stay in high places because there is a toddler in our home and Isabella the elf could be in danger of being grabbed. Isabella came back the first night that the christmas decorations came out. 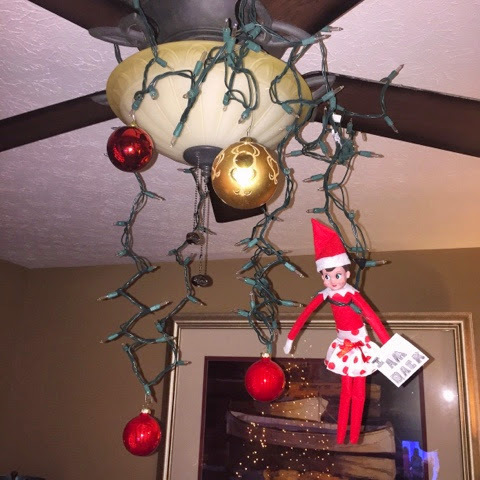 I had a set of lights that did not work and was about to go out to the trash, until she got ahold of them and placed them on the ceiling fan, with some ornaments. I love what her sign said: I'm BACK! 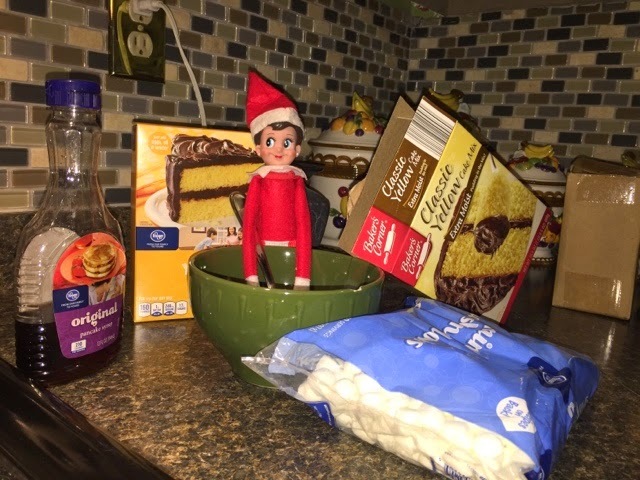 The next night our crazy elf thought we should bake a cake. This was taken several days later on our trip to Great Wolf Lodge. The days leading up to this picture, we found Isabella in the diaper bag and in our suitcase. That silly elf loves car rides. I guess Isabella was thirsty from all that traveling, because she was trying to drink a milk shake when we arrived home. Isabella wanted to watch my daughter sleep up close the other night. Is this a hint from Isabella that I need to go buy some green milk? After several weeks of being with us, Isabella needed a relaxing marshmallow bath. Last night I put up our first ever kitchen Christmas tree. This tree has been very popular with our toddler. My vocabulary has consisted of NO, No Don't Touch That, Put That Back, Don't Grab The Tree and so on. So Isabella decided to find a place on top of Santa's hat. 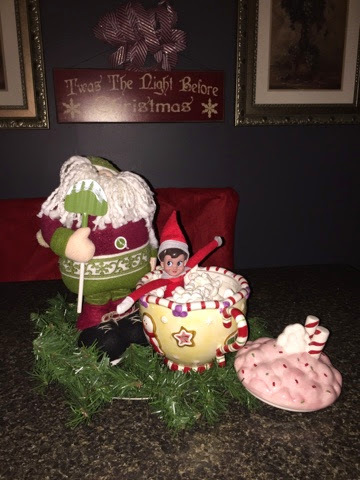 I wonder what the silly elf has planned for tonight and for the next coming weeks. 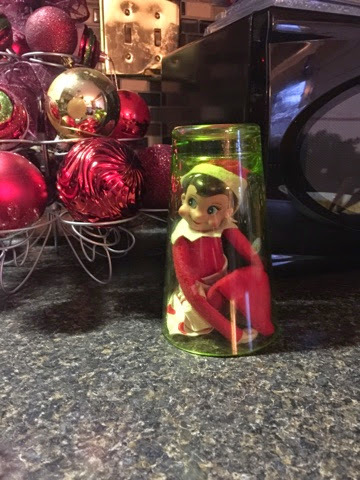 Do you do The Elf on the Shelf? 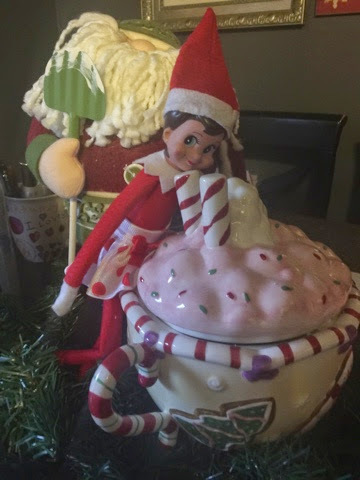 What kind of mischief does your silly elf get into?